Sweet, tart apples combine with fresh, peppery arugula, salty Parmesan, and crunchy walnuts for one amazing salad. Because they’re a mix of tart and sweet, Pink Lady apples are a good choice for this recipe, but feel free to substitute with your favorite apple. __For the vinaigrette, whisk __together vinegar, oil, garlic, Dijon, salt, and pepper. 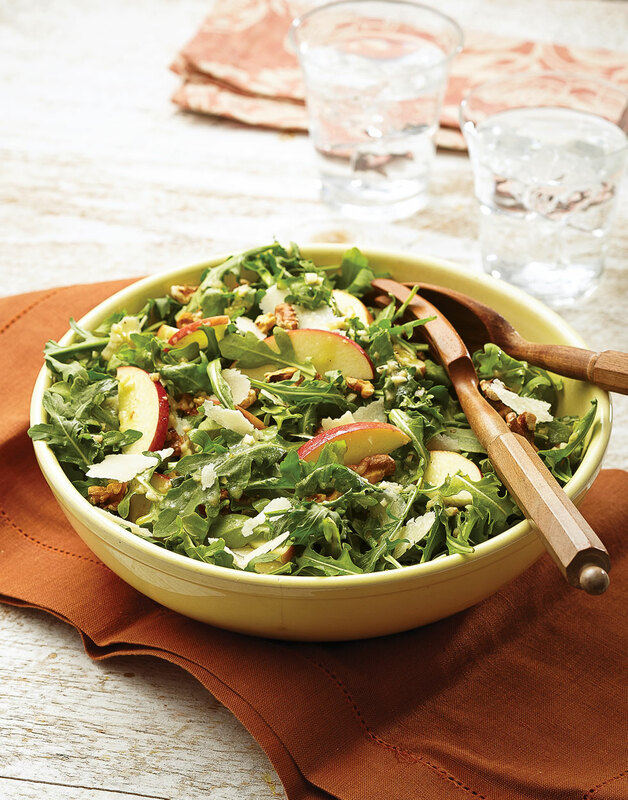 For the salad, toss arugula, apple, Parmesan, and walnuts with vinaigrette.